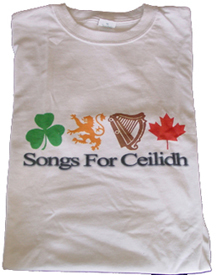 Show off your love of great celtic music with this 100% preshunk cotton T-shirt. 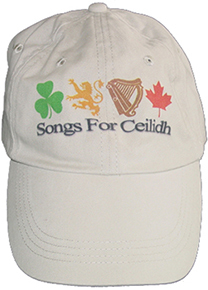 A high quality low-profile brushed cotton anvil hat is sure to attract all the ladies. One size fits all. 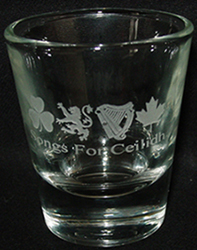 Toast your friends and your great taste in Celtic music with this 1.5 oz shot glass etched with the SFC logo. What better way to have your morning after show recovery coffee? 10oz, ceramic and dishwasher safe. Need a place to put the pesky mouse? 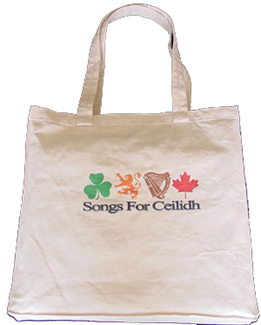 This will do the trick and let everyone know who your favorite Celtic band is. 7 3/4th” by 9”. 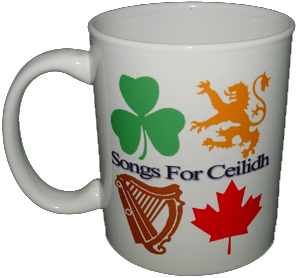 When you hand over your keys to that designated driver, remind them of the great celtic band you saw that night. Printed on durable vinyl - a high quality flexible material 2.8” x 1.8” of awesome. 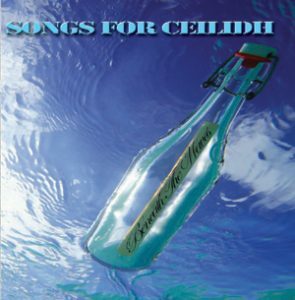 Looking for a way to ceilidh-ify your fridge? 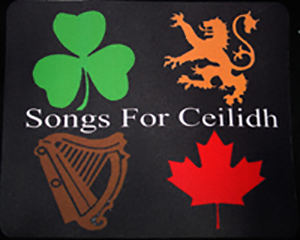 What goes better with food and beer than great celtic music! 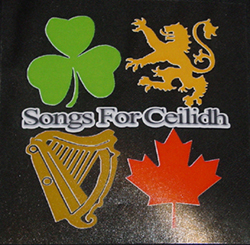 This 5.5” x 4” black or white magnet will proudly display your great taste in celtic music. 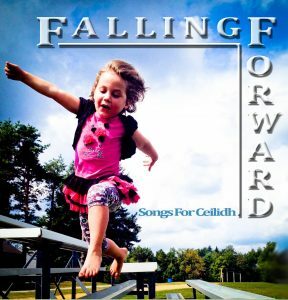 Copyright © 2019 Songs for Ceilidh. All Rights Reserved.